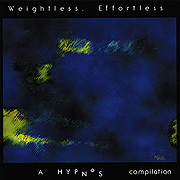 The second Hypnos anthology features original tracks by ambient music talents: Kevin Keller, Loren Nerell, Ma Ja Le, Steve Roach and five others. The music on this CD represents, just as the title implies, a universe void of desire and struggle. Following a central theme, the listener notices a continuity between tracks; yet senses each artist's distinct musical personality.